Pi Day is coming! That would be March 14th, of course. Do you need an excuse to make pie? 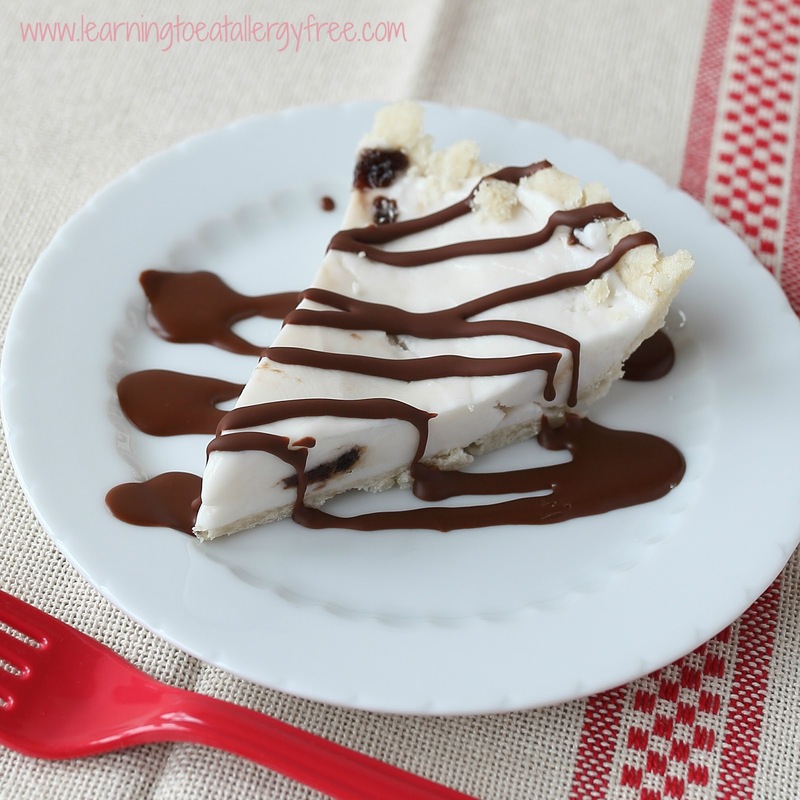 Not really, but if you do, Pi Day, this pie, and the So Delicious Instagram pie contest (see below) are all the rationale you need! So Delicious asked me to create a special pie for them to help kick off this contest. And did I mention that everyone wins because for every photo posted, So Delicious will donate $3.14 (get it?) to Kids with Food Allergies. 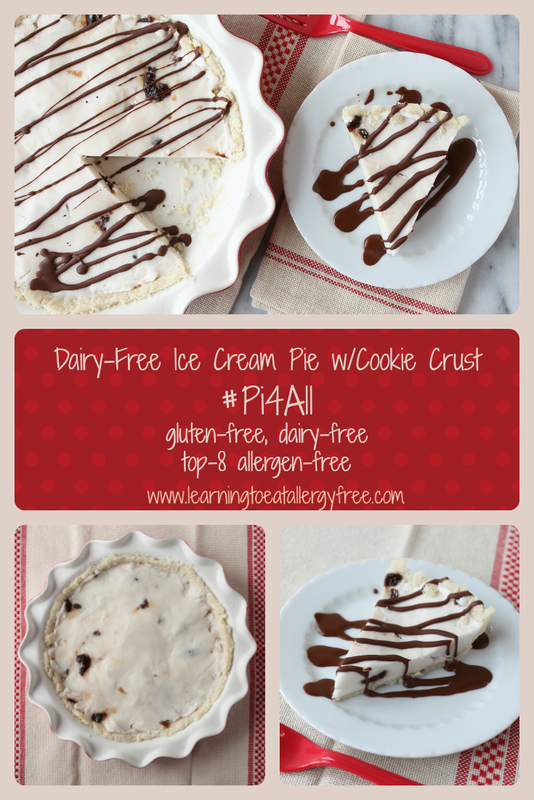 Disclaimer: I was compensated for creating this recipe and I am a member of the board of directors of AAFA (of which Kids with Food Allergies is part). Combine the flour(s), xanthan gum, sugar, and salt. Cut the shortening into tablespoons-sized pieces, lay them on top of the flour mixture and work the shortening into the flour using a pastry cutter. Add the vanilla and milk and work the liquids into the flour until the dough forms. Grease a 9-inch pie plate. Roll the dough between two sheets of parchment (as you would if you were rolling a pie crust). Transfer the crust to the pie plate, making sure the dough goes up the edges of the plate. Refrigerate for an hour. 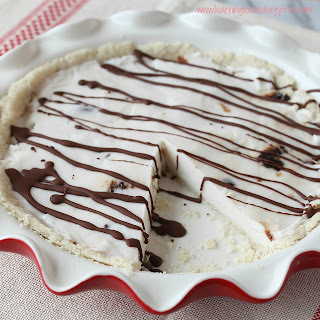 Fill the pie with the softened ice cream. Freeze for at least an hour. If you plan to serve with chocolate drizzle (highly recommended), melt the shortening and chocolate chips together over low heat. Let it cool before drizzling over the pie. 98 grams of your favorite gluten-free flour blend may be substituted for the flours. I used Earth Balance shortening; coconut oil may be substituted. I used Pascha chocolate chips. Enjoy Life or Divvies chocolate chips would also work well. 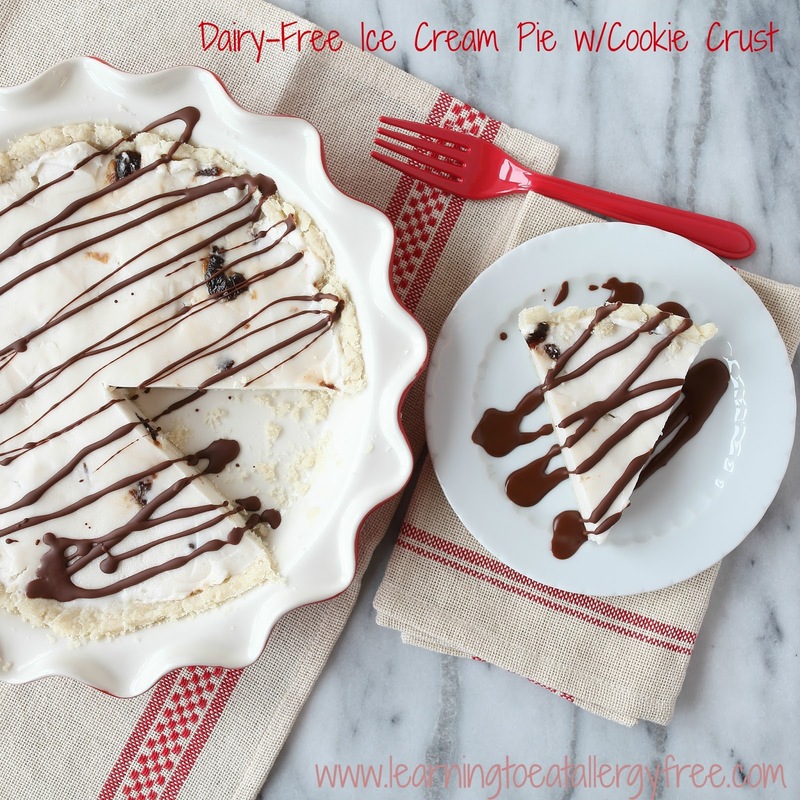 Any So Delicious dairy-free frozen dessert flavor may be substituted. 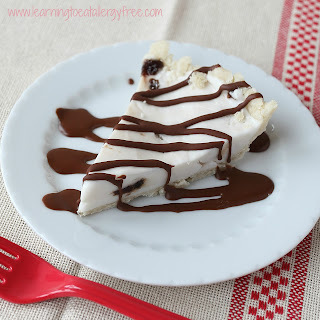 If ice cream pie isn’t your thing, check out the Chocolate Mousse Pie I created last year for Pi Day. Three cash prizes will be awarded – $314 for the first prize, $200 for the second prize and $100 for the third prize. Additionally, So Delicious will be giving away 3 VIP coupons for free products to an additional 10 folks who post their pie recipes. And, for each pie photo uploaded So Delicious will donate $3.14 to Kids with Food Allergies. Please limit one entry per person per day (3 total). Winners will be selected randomly by So Delicious Dairy Free. All winners will be contacted individually and announced on the So Delicious blog by 5pm PST on Wednesday, March 16th. Kids with Food Allergies is a foundation that educates families and communities with strategies to manage food allergies, provides kids and parents with practical information and the tools they need to live well and happily. KFA helps save lives and make every day more fun for everyone. We say, #Pi4All! This should be a mandatory must share! PERFECTION!